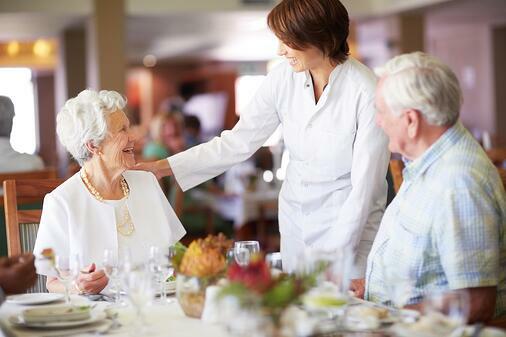 Breakfast, lunch, and dinner are more than just meals to adults in senior living care, they are major social highlights. Adaptation to the specialized needs and operations, all while supporting a fun and upbeat environment, is the key to ensure your living community has the support it needs to care for its residents. With these four new beverage options and exciting flavors, it will spice up your senior living landscape, promote a social environment, abide by nutritional guidelines, support a vast menu, and put smiles on your residents’ faces. A common side effect of medication in seniors over the age of 65 is digestive issues. Kombucha is a bottled, ready-to-drink fermented beverage that includes healthy bacteria and probiotics which helps restore and maintain a healthy gut. The health benefits are endless from kombucha, thus making it perfect for senior living. Major juice brands such as Tropicana and even yogurts have lines of probiotic-boosting beverages as well. As you know, loss of appetite is very common in older adults. Although, it is never encouraged to skip meals, there are other options to support seniors’ needs that don’t involve eating. Drinkable protein is a great way to supplement diet when an ordinary diet has become compromised during illness or recovery. Muscle Milk is a great example of a great protein-rich beverage. Drinking coffee reduces the risk of Parkinson’s and Alzheimer’s in seniors by nearly 60%. Baby boomers have seen a great change in coffee from their original black coffee, to now endless flavors of creamers and toppings. In today's world, it’s no longer enough to offer the bare minimum. We recommend offering anything from cold brew, iced coffee, drip coffee, to even tea alternatives. 70 percent of assisted living individuals consume alcoholic beverages. The social calendar and opportunities for gatherings are some of the biggest perks to a senior living community. Offering drinks such as beer, malt liquor, hard ciders and even mixed drinks are bound to make your residents’ overjoyed. Some trending mixed drinks that we offer are bloody marys, margaritas, mimosas, and even martinis. Research shows a strong correlation between social interaction and mental and physical health in seniors. Because of this, the senior living landscape is changing to encompass cafes, bistros, pubs, and coffee shops. Bernick’s can help come up with tailored creative solutions to the ever-changing preferences of your residents. We know the ins and outs of senior living and how to support a fun social environment through food and drink, all while abiding by nutritional needs, guidelines, and regulations. To support you and your industry, we created this essential, all-in-one guide to beverage options in senior living communities. Download your Senior Living Beverage Options eBook for inspiration and guidance on everything you need to know about the options that are available to you and the individuals within your care.